Fiber optic network is gradually replacing copper network, because of its various advantages, like high speed, high density and high bandwidth, etc. Among which is that fiber optic cable can support much further distance than that of traditional copper cables like coax cable or twisted pair wire. However, in practice, the exact distance that fiber optic can support are limited by many factors. Transmission distance has become one of the biggest problems in the super fast optical communication. On one hand, with the expansion of the fiber optic network, distances for the optical links span meters to hundreds of meters and even kilometers. On the other hand, optical signal becomes weak over long distance. Stuck in this dilemma, many components and methods are being used to break the limitation of the transmission distance. This article will focus on the main factors that limit optical transmission distance. Generally, the maximum transmission distance is limited by dispersion in fiber optic cable. There are two types of dispersion that can affect the optical transmission distance. One is chromatic dispersion, which is the spreading of the signal over time resulting from the different speeds of light rays. The other is modal dispersion representing the spreading of the signal over time resulting from the different propagation mode. Multimode transmission is largely affected by the modal dispersion, because of the fiber imperfections, these optical signals cannot arrive simultaneously and there is a delay between the fastest and the slowest modes, which causes the dispersion and limits the performance of multimode fiber. (shown in the following picture) For single-mode fiber, it is not model dispersion but chromatic dispersion that affects the transmission distance. This is because, the core of the single-mode fiber optic is much smaller than that of multimode fiber. That’s the main reason why single-mode can transmit signals over longer distance than multimode fiber. Fiber optic cable is the path sending the optical signals. However, most of the terminals are electronic based. The conversions between electrical signals and optical signals are necessary. This process is largely depending on fiber optic transceivers which are used in most of today’s fiber optic network. The conversion of signals is largely depend on a LED (light emitting diode) or a laser diode inside the transceiver, which is the light source of fiber optic transceiver. The light source can also affect the transmission distance of a fiber optic link. LED diode based transceivers can only support short distances and low data rate transmission. Thus they cannot satisfy the increasing demand for higher data rate and longer transmission distance. For longer and higher transmission data rate, laser diode are used in most of the modern transceivers. The most commonly used laser sources in transceivers are Fabry Perot (FP) laser, Distributed Feedback (DFB) laser and Vertical-Cavity Surface-Emitting (VCSEL) laser. The following chart shows the main characteristics of these light sources. As the above chart mentioned, different laser source supports different frequency. The maximum distance a fiber optic transmission system can support is affected by the frequency at which the fiber optic signal will be transmitted. Generally the higher the frequency, the greater distance the optical system can support. Thus, choosing the right frequency to transmit optical signals is necessary. Generally, multimode fiber cable uses frequencies of 850 nm and 1300 nm, and 1300nm and 1550 nm are standard for single-mode system. The bandwidth that fiber optic cable supports is another important factor that influences the transmission distance. In most case the transmission distance decreases proportionally, as the bandwidth increases. For instance, a fiber that can support 500 MHz bandwidth at a distance of one kilometer will only be able to support 250 MHz at 2 kilometers and 100 MHz at 5 kilometers. Due to the way in which light passes through them, single-mode fiber has an inherently higher bandwidth than multimode fiber. Splices or connectors in most fiber optic system are inevitable. Signal loss can be caused when the optical signal passes through each splice or connector. The amount of the loss depends on the types, quality and number of connectors and splices. As a conclusion, the optical transmission distance is affected by a variety of factors, like fiber optic cable type, light source of transceiver, frequency of transmission, bandwidth that the network supported, splices and connectors. During the deployment of fiber optic network, the above mentioned factors should be considered to minimum the limitations on the transmission distance. Meanwhile, components like repeater and optical amplifiers are also useful to support the long distance transmission. To break the barriers that limit the transmission distance, there is still a long way to go. This entry was posted in Fiber Cabling, Network Solutions and tagged dispersion, fiber optic transceiver, optical transmission distance, signal loss on January 7, 2016 by Alice Gui. What’s the Difference Between Transceiver & Transponder? In a fiber optic communication network, there are many equipment and facilities to support the normal operation of the system. Fiber optic transponder and fiber optic transceiver are the one of these devices. Literally, both of them are with a prefix “trans”. It seems to imply that there is a similarity between them. Actually, they are not the same. So, what’s the difference between them, something difference on principle or applications? Today, we are going to have a discussion on this topic. First, in order to better understand the difference between a fiber optic transceiver and a fiber optic transponder, we need to define what each one does. Most systems use a “transceiver” which includes both transmission and receiver in a single module. Its purpose, in broad terms, is to transmit and receive data. In fiber optic communication, the commonly used transceiver modules are hot-swappable I/O (input/output) devices which plug into module sockets. The transceiver acts to connect the electrical circuitry of the module with the optical or copper network. Devices such as routers or network interface cards provide one or more transceiver module slot (e.g GBIC, SFP, XFP), into which you can insert a transceiver module which is appropriate for that connection. The optical fiber, or wire, plugs into a connector on the transceiver module. There are multiple types of transceiver module available for use with different types of wire, fiber, different wavelengths within a fiber, and for communication over different distances. The most commonly used fiber optic transceivers include GBIC, SFP, SFP+, XFP, CFP, QSFP etc. They are widely used for different application, eg. 10G, 40G fiber optic transmission. “Transponder” includes a transmitter and a responder. It is a similar device with transceiver. In optical fiber communications, a transponder is the element that sends and receives the optical signal from a fiber. A transponder is typically characterized by its data rate and the maximum distance the signal can travel. According to its specific applications, it is also known as wavelength-converting transponder, WDM transponder or fiber to fiber media converter. Fiber optic Transponders extend network distance by converting wavelengths (1310 to 1550), amplifying optical power and can support the “Three Rs” to Retime, Regenerate and Reshape the optical signal. In general, there is an O-E-O (optical-electrical-optical) function with this device. 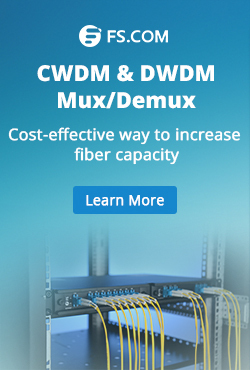 Fiber optic transponders and optical multiplexers are usually present in the terminal multiplexer as an important component for WDM (Wavelength Division Multiplexing) system. 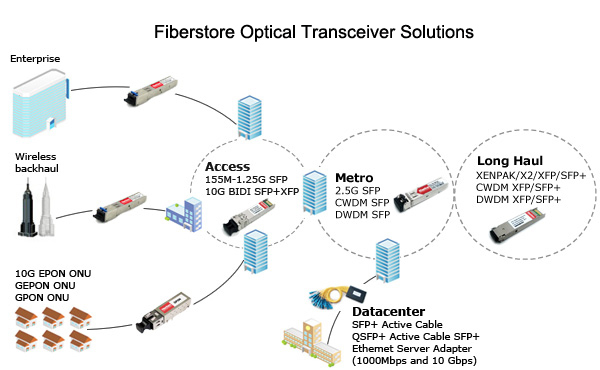 In addition, in nowadays market, many transponders are designed as protocol and rate-transparent fiber media converters that support SFP, SFP+ and XFP transceivers with data rates up to 11.32 Gpbs, and with seamless integration of different fiber types by converting multi-mode fiber to single-mode fiber, and dual fiber to single-fiber. A transponder and transceiver are both functionally similar devices that convert a full-duplex electrical signal in a full-duplex optical signal. The difference between the two is that fiber transceivers interface electrically with the host system using a serial interface, whereas transponders use a parallel interface. So transponders are easier to handle lower-rate parallel signals, but are bulkier and consume more power than transceivers. In addition, transceivers are limited to providing an electrical-optical function only (not differentiating between serial or parallel electrical interfaces), whereas transponders convert an optical signal at one wavelength to an optical signal at another wavelength. As such, transponders can be considered as two transceivers placed back-to-back. I hope you can start down the path to fully understanding transceivers, transponders, and the difference between them, particularly in a networking, Ethernet, or fiber-optic communications setting after reading this article. Of cause, knowledge is endless, if you still want to get more information about transceiver and transponder, I suggest that you should find more references to read. If you just need to buy the related products, I will recommend Fiberstore to you as usual. This entry was posted in Fiber Optic Transmission and tagged fiber optic transceiver, Fiber optic transponder on March 5, 2015 by Admin. With the increasing demands of higher transmission, people may prefer fiber optic cables when considering network cabling. Compared to DAC, due to its flexibility, the fiber patch cable plays an important role in fiber optic data transmission, especially the data transmission between the switches and equipment, and now is widely used in both telecommunication and data communications. However, when choosing fiber patch cables for our transceiver modules, it seems to be a headache for many users on how to choose a right fiber patch cable. Today, I want to take the Cisco fiber optic transceiver module as an example to discuss this topic. Actually, before starting this topic, it is necessary for us to review the basic knowledge of the fiber optic transceiver module and fiber patch cable. Fiber Optic Transceiver Module is a self-contained component that can both transmit and receive data signals. Usually, it is inserted in devices such as switches, routers or network interface cards which provide one or more transceiver module slot. The fiber optic transceivers here we mentioned include the SFP, SFP+ and X2 etc. Wanna review and get more details please visit What are the Differences between SFP, SFP+, XFP, QSFP/QSFP+, CFP and QSFP28? Fiber Patch Cable, also known as fiber optic cable or fiber optic patch cable is designed to interconnect or cross connect fiber networks within structured cabling systems. 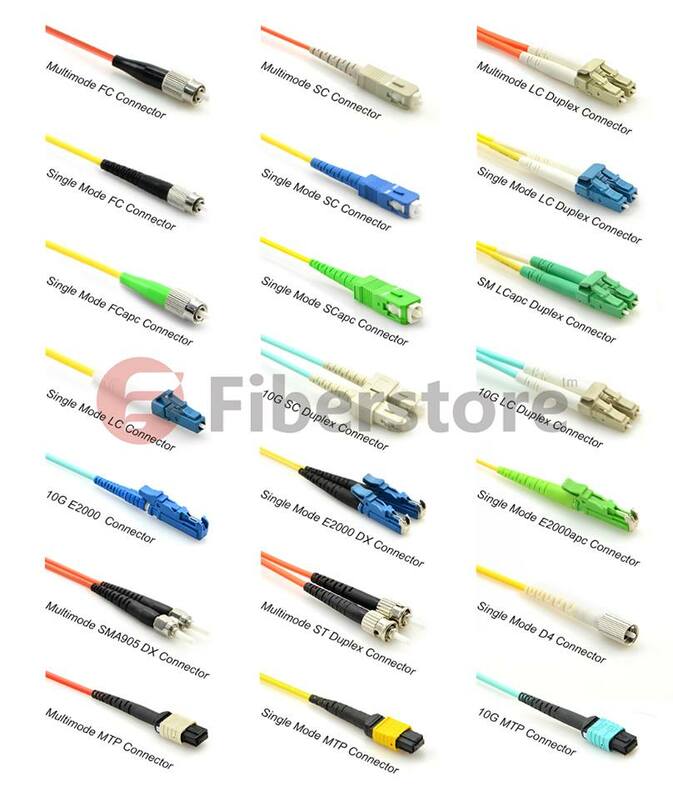 According to fiber cable mode, cable structure or connector types etc., fiber patch cable can be divided into different types. Fiber Cable Mode – there are single mode fiber patch cable and multimode fiber patch cable. The word “mode” means the transmitting mode of the fiber optic light in the fiber optic cable core. Single mode patch cables are with 9/125 fiber glass and are yellow jacket color, while multimode patch cables are with OM1 62.5/125 or OM2 50/125 fiber glass and are in orange color. In addition, there is 10 Gigabit Laser Optimized OM3 and OM4 which cable jacket are usually aqua. Fiber Cable Structure – simplex fiber patch cable consists of single fiber core, while duplex fiber patch cable consists of two fiber cores which are either multimode or singlemode. Additionally, there is also ribbon fan-out cable assembly (ie. one end is ribbon fiber with multi fibers and one ribbon fiber connector such as MTP connector (12 fibers), the other end is multi simplex fiber cables with connectors such as ST, SC, LC, etc.). Connector Types – Fiber optic patch cable can be also classified by the types of fiber optic connector. For example, LC fiber optic patch cable is named as it is with LC connector. Similarly, there are SC, ST, FC, MT-RJ, E2000, MU and MPO/MTP fiber optic patch cables. What’s more, there are PC, UPC, APC type fiber patch cords, which are differentiated from the polish of fiber connectors. We suppose that we need to choose a right patch cable using between Cisco fiber optic transceiver SFP-10G-SR and X2-10GB-SR. How should we do? 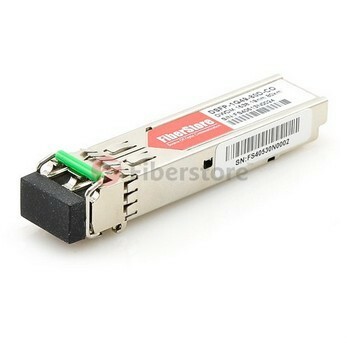 According to “Cisco 10-Gigabit Ethernet Transceiver Modules Compatibility Matrix“, we may know that SFP-10G-SR is the 10GBASE-SR SFP+ transceiver module for MMF, 850-nm wavelength, LC duplex connector. And X2-10GB-SR is the 10GBASE-SR X2 transceiver module for MMF, 850-nm wavelength, SC duplex connector. Obviously, when we require X2-10GB-SR has SC connector, and the SFP-10G-SR has LC connector. so that we would require patch cable with SC-LC connector with MMF, 850-nm wavelength. In the same way, we could choose right fiber patch cable for your other transceiver modules. Of cause, if your transceiver modules are not Cisco’s, you need to ask your brand supplier to get the corresponding compatibility matrix. FS provides various fiber patch cord types including single mode, multimode, multi core, and armored versions. You can also find fiber optic pigtails and other special patch cables here. For most of them, the SC, ST, FC, LC, MU, MTRJ, E2000, APC/UPC connectors are all available. Moreover, we supply MPO/MTP fiber cables. 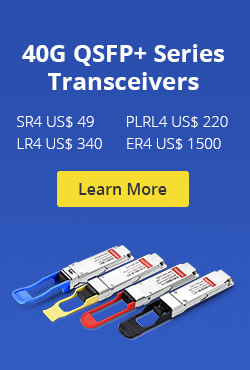 FS provides a full range of optical transceivers, such as SFP+ (SFP Plus) transceiver, X2 transceiver, XENPAK transceiver, XFP transceiver, SFP (Mini GBIC) transceiver, GBIC transceiver, CWDM/DWDM transceiver, 40G QSFP+ & CFP, 3G-SDI video SFP, WDM Bi-Directional transceiver and PON transceiver. All our fiber transceivers are 100% compatible with well-known brands like Cisco, HP, Juniper, Nortel, Force10, D-link, 3Com. They are backed by a lifetime warranty. 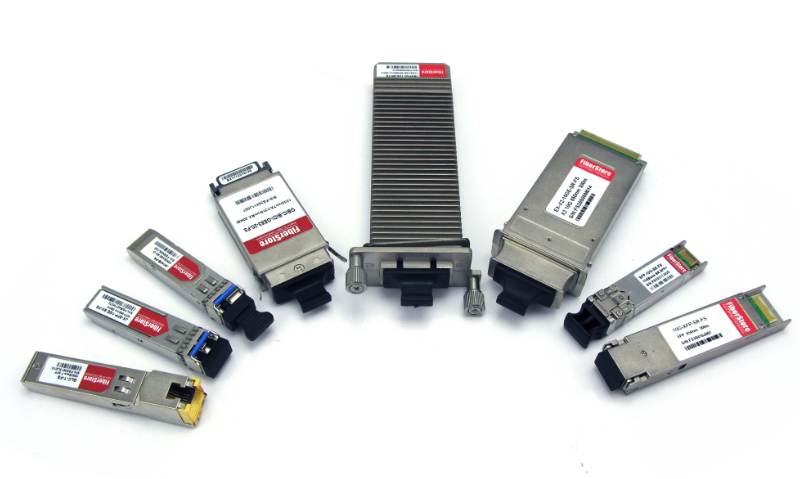 We also can customize optical transceivers to fit your specific requirements. Related Articles: How to Select 10G SFP+ Modules for Cisco Switches? This entry was posted in Fiber Patch Cable, Optical Transceiver Solution and tagged Cisco SFP-10G-SR, fiber optic patch cable, fiber optic transceiver, patch cord types, X2-10G-SR on December 23, 2014 by Admin.